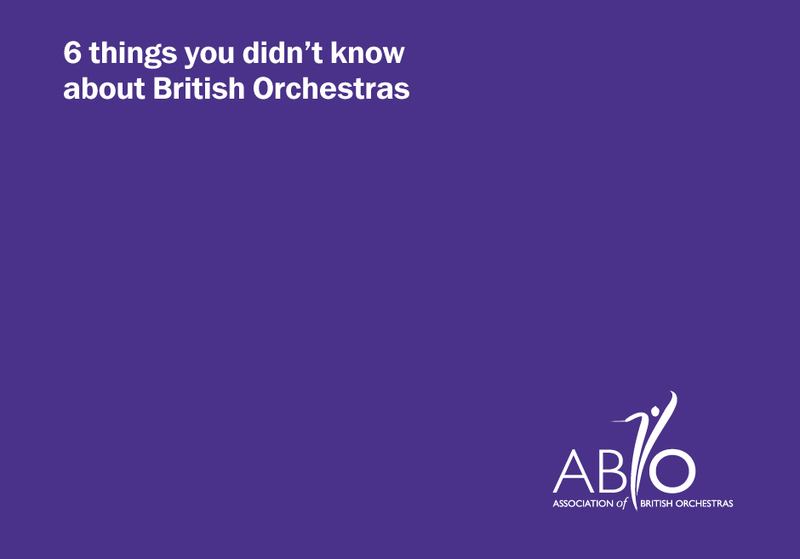 The Association of British Orchestras (ABO) is the charitable body that represents the collective interests of professional orchestras throughout the UK. Every year, it holds a conference to maintain close links with the industry it serves. Having designed a new identity to better express the conference themes and applied it to the programme, we were asked to designed a simple, cost-effective way to communicate key corporate messages to the conference audience and beyond. 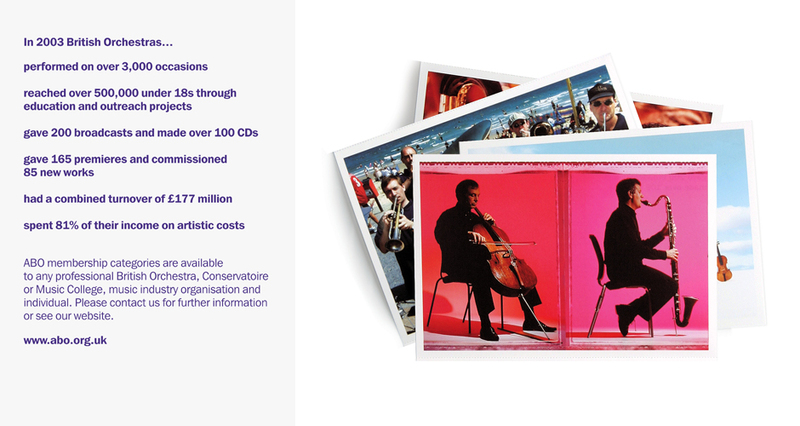 We designed a postcard pack with memorable facts about British orchestras, featuring images that show them in all their surprising diversity.